Your little puzzler joins Mickey and friends in their daily fun. 24 piece puzzles. Ages 3 and up. Price per puzzle. 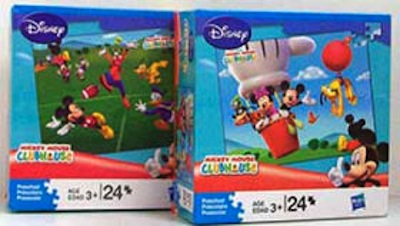 Disney Mickey Mouse Clubhouse Puzzle Assortment. Images subject to change. Actual Size: 10" x 13"